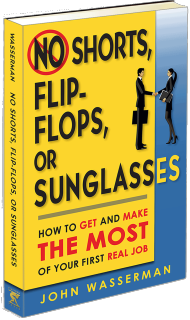 Champ Think - No Shorts Book: No Shorts, Flip Flops, or Sunglasses. How to get and make the most of your first real job. 100% of the proceeds from each book will go to Children's Dyslexia Centers. From ﻿how to look your best﻿ to how to deal with rejection, it's all here in this breezy, fun tutorial on the essentials that will give you an edge when you head out to start your full-time career. After reading over 200 books on leadership, self help, coaching, and mentoring I finally put it all together in one book. 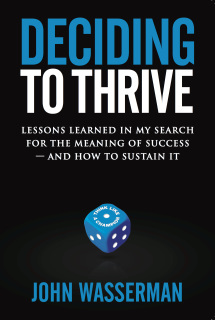 Deciding To Thrive is the distillation of what I learned about the nature of happiness, the meaning of success, the purpose of money, and the all-essential "why" that helps great entrepreneurs create companies. You aren’t responsible for the Great Recession that’s made it so hard for young adults to land that first real job, but the future is their responsibility and many are uncertain where to start. Whether you’re a college-aged man or woman, a Millennial who’s in need of “a job,” or a parent who wants to help a son or daughter get launched, you’re holding two decades of proven wisdom, advice, and tips in your hands. The future begins here and now. If you’re 18 to 25 years old, you’re sick of hearing how your generation is self-involved, lazy, entitled, and, like, you know, failing to launch. If you’re the parent of a Millennial, you’re probably wondering what you can do to help, and what you might be doing that’s a hindrance. 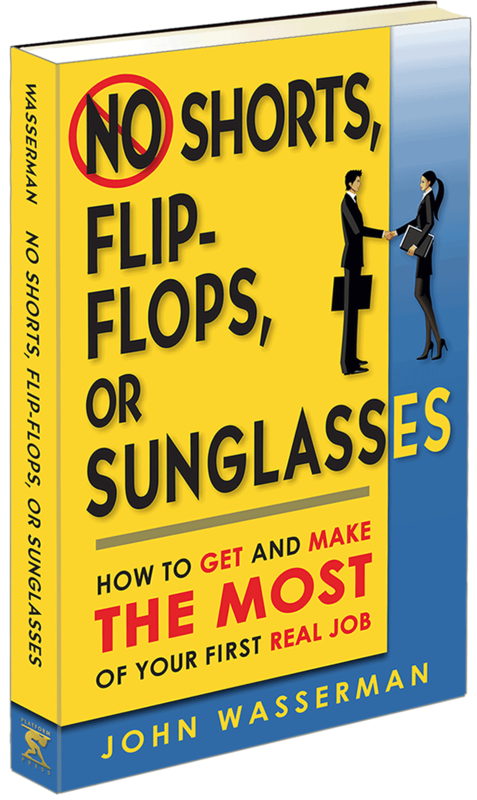 Both will find answers in No Shorts, Flip Flops, or Sunglasses: How to Get and Make the Most Of Your First Real Job, distilled from author John Wasserman’s experiences and observations during two decades as a recruiter and trainer of thousands of college men and women in the art and science of marketing upscale consumer products. He has probably handed out, in person, more first "real job” paychecks to young adults than anyone else in America. The wisdom John Wasserman shares in this book is based on common sense mixed with humor and empathy. Wasserman's uncommon insights reveal what makes young people tick, and what stops their clocks. 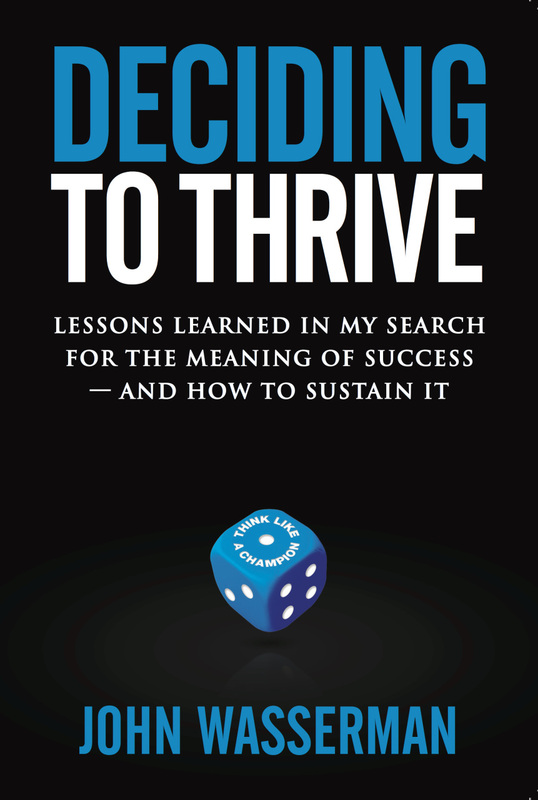 This is a book that Millennials and their parents can read and use together to help this generation and the ones that follow shape their own destinies and prosper through good times and bad. John Wasserman began his career in 1991 as a sales representative for Vector Marketing, selling Cutco Cutlery in Philadelphia, PA. He is CEO of Fast Start, LLC, a frequent public speaker and, as a division manager for Vector Marketing, responsible for more than twenty field office locations throughout the Philadelphia-New York metro region. To request a review copy of his book or an interview, please use the contact form.